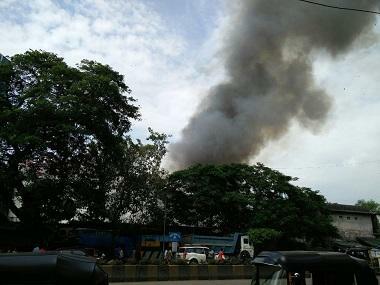 Mumbai: The Mumbai civic body's fire department has issued a notice to the owners of the iconic RK Studio for alleged violation of safety norms which, it claims, led to a massive blaze on the premises. The department has also cancelled the no objection certificate (NOC) issued to the studio in 2014. 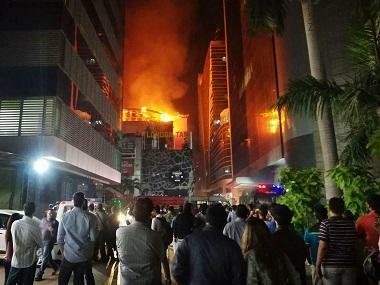 On 16 September, a major fire broke out on the sets of dance reality show Super Dancer at the RK Studio, founded by legendary actor and filmmaker Raj Kapoor in suburban Chembur, in which its ground floor was gutted. No casualty was reported in the mishap. 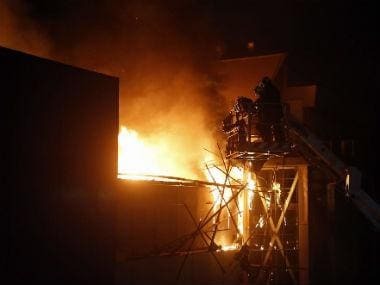 The notice was issued on 27 September after it was observed that fire safety guidelines were not followed at the studio, Brihanmumbai Municipal Corporation's (BMC) Chief Fire Officer Prabhat Rahangdale said today. It was issued for non-compliance of the fire safety guidelines as mentioned under the Maharashtra Fire Prevention and Life Safety Measures Act, he said. The fire detection system in the studio was not functional which led to the massive blaze, Rahangdale said. "During the investigation into the fire at R K Studio, it was observed that there was non-compliance of the NOC issued by the Mumbai fire brigade in 2014. Therefore, the NOC of the studio has been cancelled with immediate effect," he said. The studio's representative did not respond to calls and message seeking his reaction in the matter. Raj Kapoor, his siblings and children made a number of films over the decades at the studio which was founded in 1948. The films made under the RK banner include Aag, Barsaat, Awaara, Shri 420, Jis Desh Mein Ganga Behti Hai, Mera Naam Joker, Bobby, Satyam Shivam Sundaram, Ram Teri Ganga Maili, among others. The last film made under the banner was Aa Ab Laut Chalen. When Raj Kapoor passed away in 1988, his elder son Randhir Kapoor took over the studio. Later, his younger brother Rajiv Kapoor directed Prem Granth. Raj Kapoor's son Rishi Kapoor also tried his hand at direction with Aa Ab Laut Chalen.